FRIDAY, DEC 14, 2018 was the LAST DAY to order custom printed items for 2018! Thank you for your business and we look forward to serving you in 2019! all standard items are digitally printed on a professional printing press - which means all text is flat with a beautiful matte finish. digital printing has improved in leaps and bounds, so we are proud to offer exceptional wedding papers with affordable digital printing. an upgrade to our standard digital printing is using white ink, which is stunning on a dark paper color! 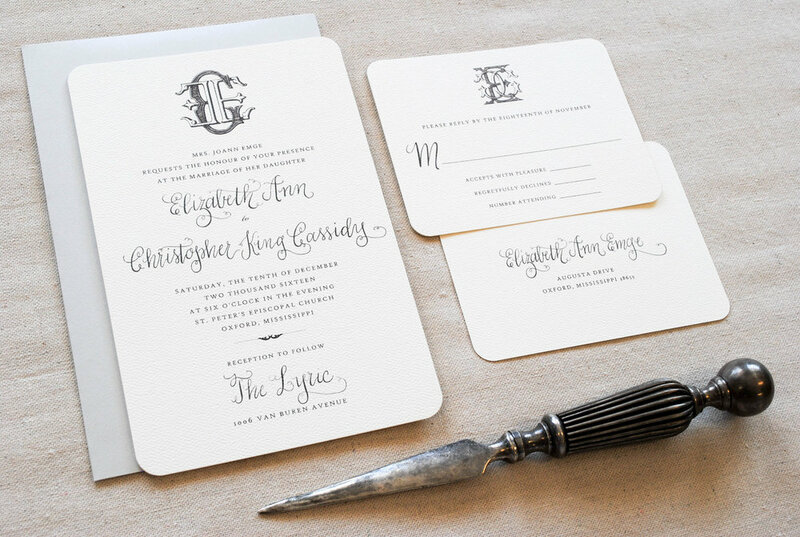 next step up would be letterpress printing, which we offer at a very competitive rate! we offer several options of luxury, thick papers. our standard papers include a 120 lb eggshell paper in white or off-white and 110 lb textured felt paper in white or off-white. our next step up is pearlized paper with a beautiful metallic sheen (digital printing only). lastly, we now offer a 240 lb double thick eggshell paper in white or off-white, which is truly amazing! our wedding papers are carefully selected for quality and affordability. we would love to start with a phone or personal consultation to discuss our process in detail and to learn more about your needs and expectations, but this is not required! we are happy to help via email if that is easiest. when ready to order, please email info@ppresspapers.com with the full details of your order to include - items needed, paper choices, quantities, and personalized text. once we have received the details, we will confirm pricing, invoice the total for approval, then start your proof! we require a 50% deposit to begin proofs. proofs usually take 24 to 48 hours to complete. once proof is approved, orders ship in 10 to 14 business days. we believe in custom 100%! we are happy to individualize your order at no additional cost when selecting our standard paper, font and ink options. we are happy to customize paper colors and sizes for additional fees. as always, we are happy to send samples. 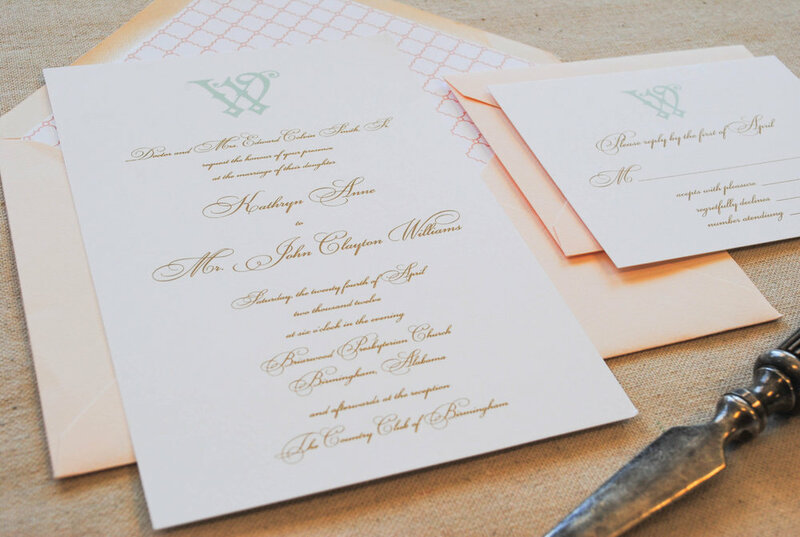 p. press offers all things wedding from save-the-dates, wedding invitation suites, rehearsal dinner invitations, digitized design files for monograms or seating charts. plus things like place cards, wedding programs, tags or labels, and printed party supplies like cups, napkins and koozies! please inquire for a full list of options and pricing. please email a request for pricing and we will send PDF explaining in detail the standard options.